If this hearty soup made with turkey bacon, cabbage, and leeks isn't a P90X soup, we don't know what is! 1. Heat oil in large sauce pot over medium-high heat. 2. Add turkey bacon, onion, leek, carrots, and cabbage; cook, stirring frequently, for 6 to 7 minutes, or until vegetables soften. 3. Add broth, potatoes, bay leaf, caraway seeds, pepper, salt, and nutmeg; bring to a boil, stirring frequently. 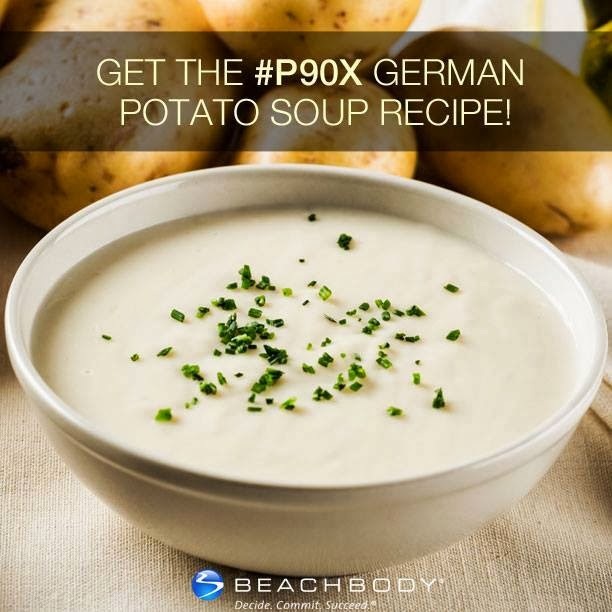 Reduce heat to medium-low, maintain a gentle boil, stirring occasionally, for 15 minutes, or until potatoes are soft. 4. Place 2 cups of soup in a blender or food processor; cover with lid and kitchen towel. Blend until almost smooth. 5. Return blended soup to sauce pot; mix well. 6. Serve each portion topped with 1 Tbsp. yogurt.